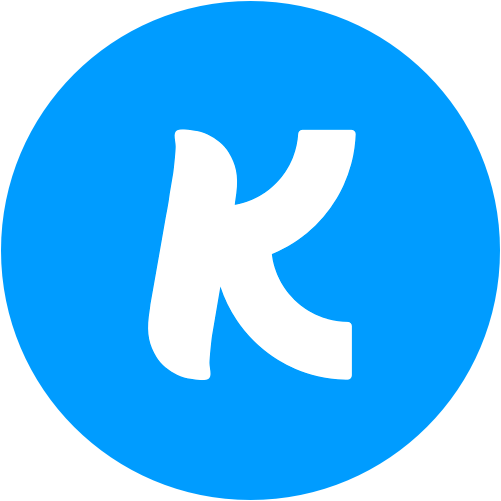 We're often asked how Kindrid Smart Giving can be used at one time fundraising events. This might be an annual gala for a non-profit or a special offering for a Church. CARE for AIDS is a non-profit working with local churches to educate those living with AIDS. They recently held a dinner in Atlanta with 300 people in attendance and raised over $33,000 in one night solely via Kindrid text giving. The President of CARE for AIDS made an announcement at the beginning of dinner letting people know they, if they felt moved to give, they could text their gifts. He then encouraged everyone to text the word “Give” to their Smart Giving number. Guests could then quickly link their debit/credit cards! Throughout the entire evening, a rotating slide showed how to give through Smart Giving. That way, people could give whenever they felt compelled to do so. This may sound obvious but it’s important to let people know text gifts aren’t limited to $25, $250 or even $2,500 dollars. CARE for AIDS saw donations as small as $25 and as large as $5,000, all through Kindrid Smart Giving. As a way to encourage larger gifts, CARE for AIDS auctioned off art pieces and other items at $5,000+. This helped people realize how much they could give. 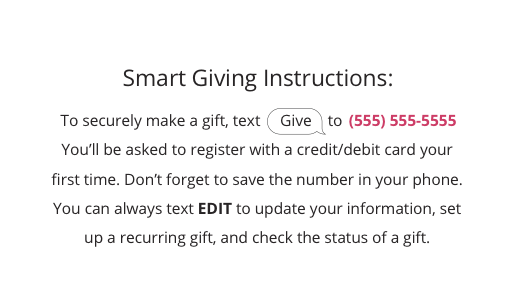 The instantaneous nature of Smart Giving also gives you room to say things like, “Whoever makes the largest gift in the next 10 minutes will have their donation matched.” You can then track gifts in real time through the Smart Giving dashboard and announce the largest gift while your event's still taking place. CARE for AIDS printed small cards with specific instructions on how to make a donation at each gift level. (We provide customized materials your organization can use to do the same!) They passed them out during the ask and used the slides to eliminate even the slightest chance of confusion. Throughout the night, CARE for AIDS continued to remind people how safe it is to give through Kindrid Smart Giving. Reiterating Kindrid's commitment to bank level security is a great way to ease the minds of those who might not have given via text before. The best part is that giving didn’t stop after the event. CARE for AIDS received almost another $10,000 in the week following the event. This is another advantage of using Smart Giving and handing out printed materials. People will take them home and continue to give. Last year CARE for AIDS used Square for credit card processing. Although it worked for the event, it created a mess on the backend. None of the giver data was recorded. This year, they were able to track all their givers and gifts in real time from the Kindrid dashboard, equip people to easily give from their seats during the event, and receive gifts long after the evening ended. Every organization is different but these tips will help you find success in event driven fundraising. If you have questions or need help with your specific event, grab a time to chat with someone from our team!